Alternate view from reception site with Mount Greylock in the distance. Main reception area for large tents. Main area for reception and tent. Another angle of main reception site. Wildflowers ring the entire meadow -- perfect for photos and guests to wander through during cocktail hour. View from the first reception location looking at towards the second. Rolling hills and wildflower berm to side of reception area. Ariel view of reception area (foreground) and mountains. View from main reception area of of massive fields in the larger second reception area. View of small orchard and historic family farm in distance. The venue has huge flat space for massive tent receptions, bands and cocktail hours. Meadow and fields will be cut for events. Country road that brings guests to the meadow and farm area. View from second reception area of this historic farm, worked by the same family for 8 generations. 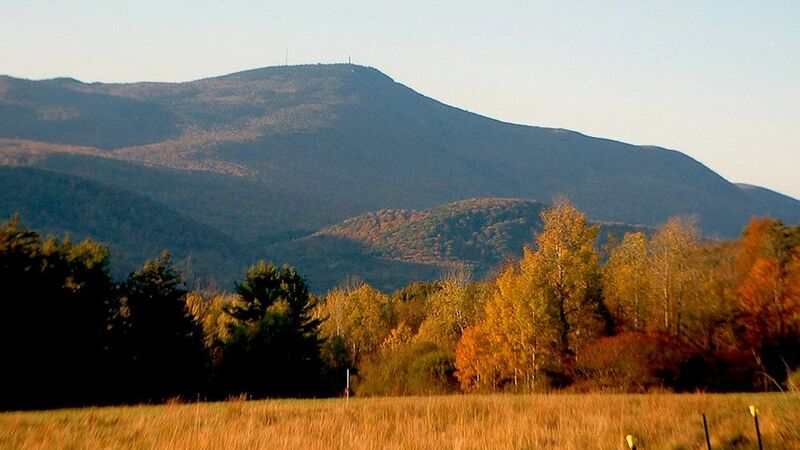 This meadow features stunning views of Mount Greylock, vibrant wildflowers, and naturally wooded lands. 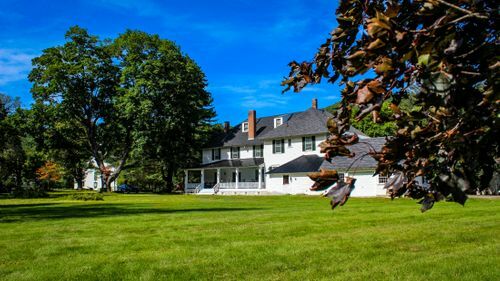 For the couple who wants to create a world all their own in the mountains of the Berkshires, the Meadow at Mount Greylock offers creative freedom found in few other venues. 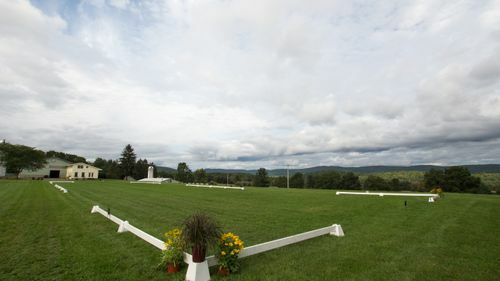 With historic stone walls, split-rail fences, original farm homes, and two massive open fields encircled by the surrounding peaks of the Berkshires, guests will feel like they have stepped into another world of private and pristine Massachusetts. The mountain landscape showcases lush green trees on rolling hilltops against enchanting blue skies. The fresh air and quiet of natural surroundings are perfectly calming. During the fall, warm red and yellow-colored leaves transform the terrain into a even more mesmerizing and picturesque landscape. 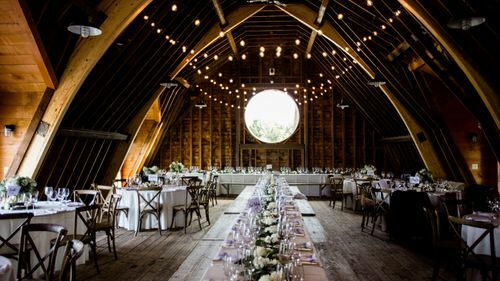 No matter when you choose to celebrate your wedding, the Meadow at Mount Greylock offers a truly unique and private view into the Berkshires that your guests will never forget. There are two ideal spots for a tented reception. The first features a majestic apple tree, an historic stone wall, and amazing mountains in the distance making it perfect for a spring or summer wedding. 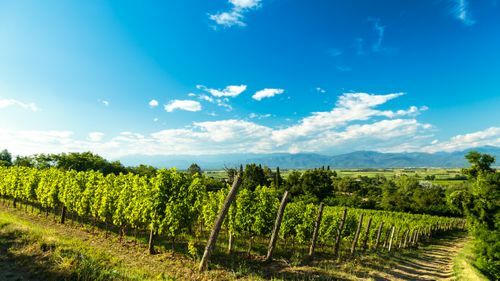 The second is surrounded by trees, wildflowers, and different but equally breathtaking views of mountains so close it seems as if you could touch them. 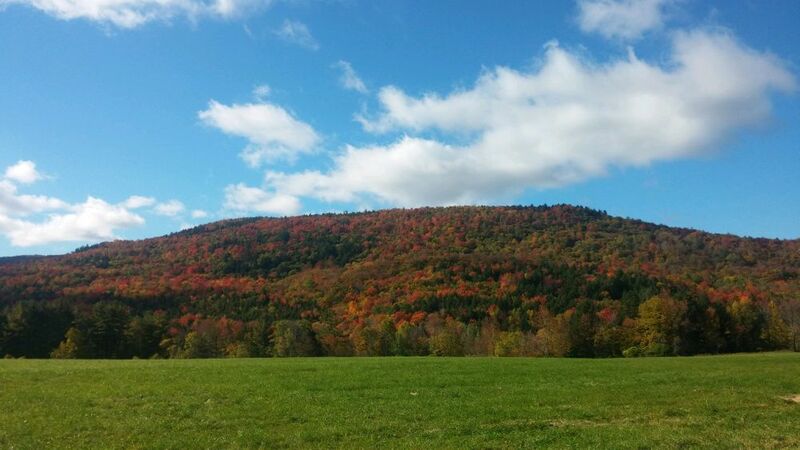 This second location is perfect for fall weddings when the wooded mountains come alive with autumn color. 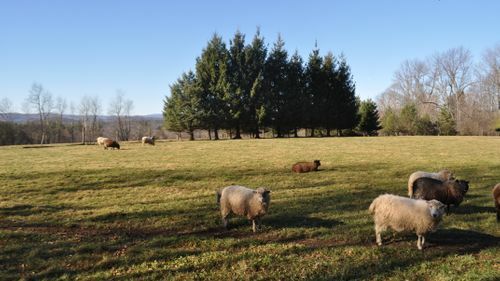 The Meadow at Mount Greylock is part of a historic farm that has been family-owned for eight generations and producing food for over 100 years. The farm spans roughly 400 acres including pastures, grazing lands, and apple orchards. Parking - Up to 80 cars. Open Flame Policy: Tabletop candles only.